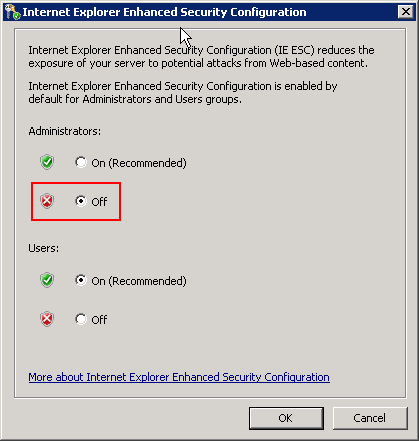 Internet Explorer Enhanced Security Configuration is a Microsoft feature that for many non-techy users can all but stop you in your tracks to using your server successfully. It has a very valid use in helping to protect Administrators and users from downloading Viruses and Malware. It is so good, it will prevent you from downloading anything, even another browser! If this is frustrating you, like it does many, you will learn how to get around it now. 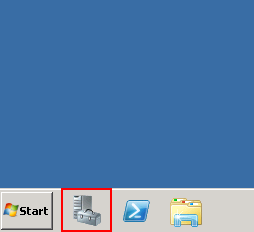 When you first log in, Server Manager should already open up for you. If not, click on icon you see here. 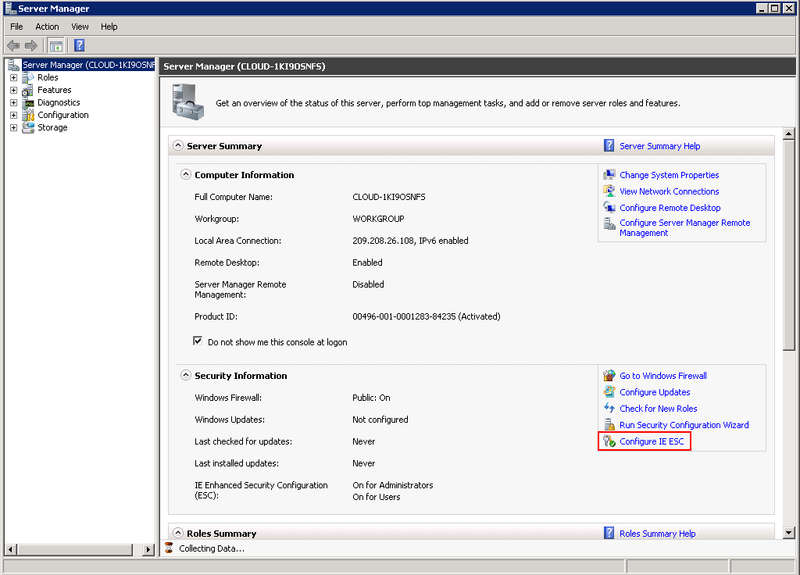 Once Server Manager is open, click on the Configure IE ESC as shown below. Now, how you configure this setting is up to you. However, since you are this far in, you will likely want to turn it off for Administrators. If you do not plan on creating any other accounts, or the other accounts that are created will be Administrator accounts, then the User section will not apply. Click OK. That is all you need to do. If you already have IE open, then you will need to close it and reopen it for these settings to take effect. Happy Browsing.